This is the knife you want to have with you for hunting, camping, hiking, or fishing . 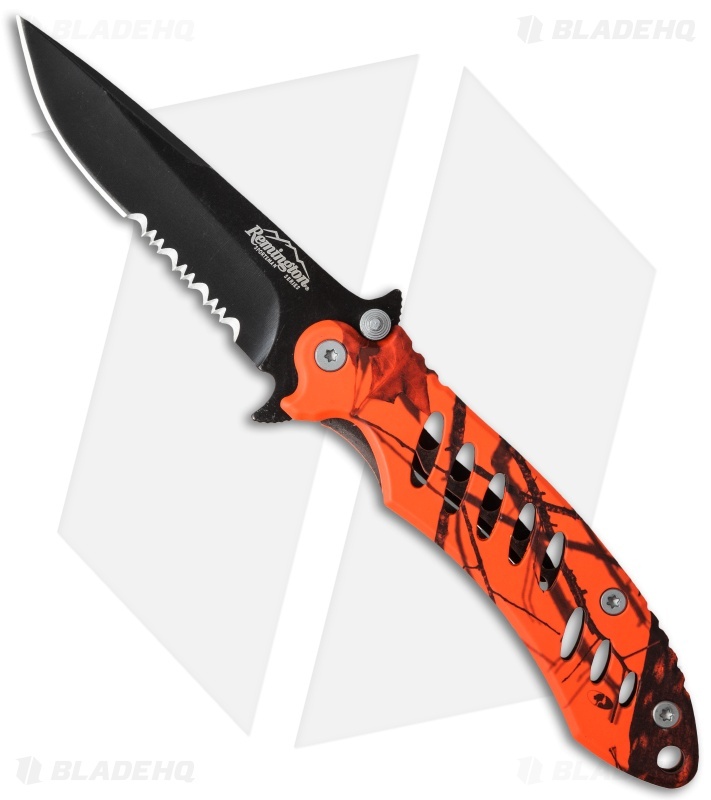 The durability of black coated 440 stainless steel and the flexibility of a partially serrated clip point blade make this an exceptional knife to have at your side. It's small, lightweight, and very portable, but it's also able to handle the big tasks your activities call for. The aluminum handle has finger grooves for a comfortable hold, and jimping on the spine and index groove for added safety. It also features a blaze orange camo graphic on the handle. 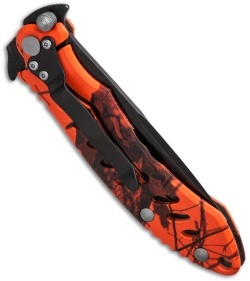 A lanyard hole lets you customize the blade or add a wrist carry option. There is also a tip-down carry pocket clip for added convenience.